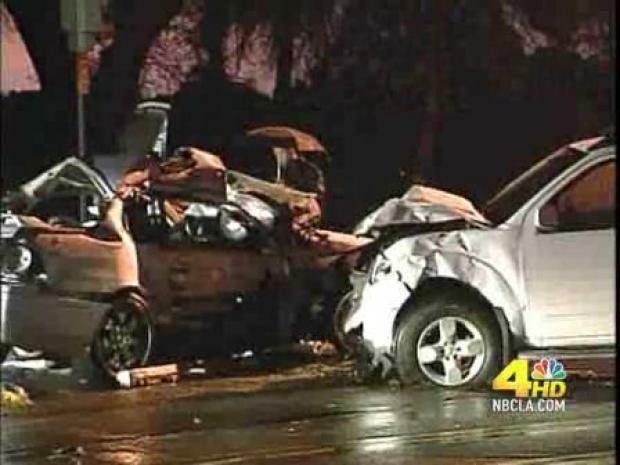 One person was kill in Pacoima Thursday in what appeared to be a rain related traffic accident. 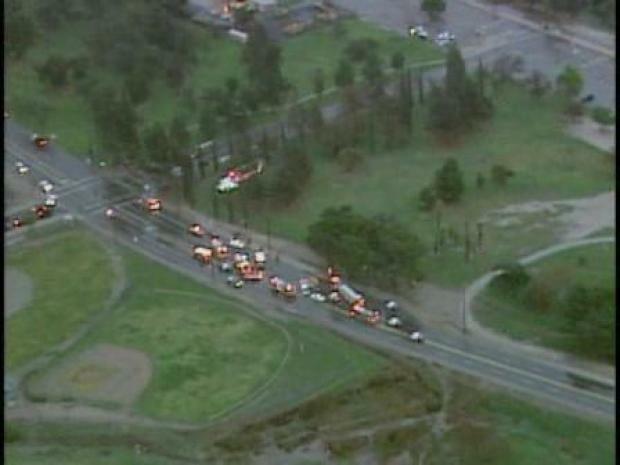 PACOIMA, Calif. -- A mother was killed and her husband and young child were critically injured Thursday afternoon in a two-vehicle crash near the Hansen Dam Recreation Area in Pacoima that appeared to be rain-related. The crash occurred around 5 p.m. at 12100 W. Osborne St., said d'Lisa Davies of the Los Angeles Fire Department. "It was a family in a sedan," Davies said. "A mom, a dad and the baby, got (hit) by a truck." All three victims had to be freed from the car, she said. Watch raw video from a fatal car crash in Pacoima. "The mom died at the scene," Davies said. "The dad was taken to a hospital trauma center and the baby had to be airlifted." Both the father and the young child, who was airlifted to Childrens Hospital Los Angeles, were in very critical condition, she said. "The driver of the truck declined transport, so he was released at the scene," Davies said. The crash caused the closure of "a whole stretch of Osbourne Street," Davies said. Watch NBC4 11 p.m. newscast coverage of the Thursday storm that killed at least one person and created an afternoon traffic nightmare. Bev White reports from Pacoima.